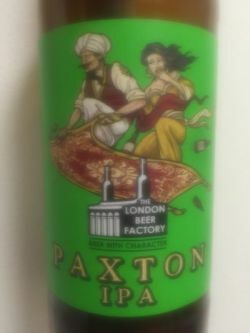 India Pale Ale was first brewed in Britain in the early 19th century. Its high alcohol content and increased hop content helped preserve the beer making it an ideal candidate for export. It was first shipped to India, where it wreaked havoc in the flying carpet industry, prompting local authorities to ban this particular mode of transport altogether. UPDATED: APR 6, 2019 Can from Tesco. Orange pour with good head that dissipates. Strong citrusey, piney hops, full body, enjoyable beer. UPDATED: MAR 3, 2019 Can. Pours a dark orange colour with a fluffy white head, plenty of fruit especially orange in the aroma, the taste is medium bitterness and fruity with a dry bitter finish. UPDATED: FEB 9, 2019 Can, purchased from Tesco online. Pours an orange gold with a white head. Aroma: biscuity malt, grain, barley, mild orange notes. Taste: biscuity malt, grain, mild pine, mild barley, mild bread flavours. Moderate bitterness. Easy to drink. Moderate carbonation. Not much flavour to this beer. This can was quite fresh, less than 2 months old, but had very little flavour. It was nice just a bit dull. Would not bother drinking this again. UPDATED: FEB 4, 2019 Unimaginative brewery name but if the beer’s as good as BBF I’ll be happy. Foggy amber with a fat cask foam. Big juicy aroma of confectionery liquorice, peach and orange wine gum, turmeric. Full and slick with forthright biscuit and husk holding their own against generous floral and gelatinous orange and blackcurrant hops. Perfumed but really solid and conditioned just-so. Good beer. Clear golden colour with lasting head. Aroma and flavour have a lot of citrus. Especially grapefruit and orange. Good body. UPDATED: JAN 3, 2019 Can. Clear golden body with a thin white head. Fine carbonation. Patchy lacing. Aroma of tangerine and fruit gums. Flavour of juicy orange and grapefruit. Thin body with an oily texture. Soft fizz. Bright and juicy. UPDATED: DEC 22, 2018 Good quality IPA, particularly smooth mouth feel. Very hoppy but not overly bitter. UPDATED: DEC 13, 2018 Not sure if it's an Ipa in the true sense almost perfumed dry grass quite refreshing and easy to get on with.